Oxford United have signed winger Jordan Graham from Championship club Wolves on an initial one-month loan. Former Aston Villa trainee Graham, 20, has yet to make an appearance for Kenny Jackett's side since signing in January after initially joining on loan. 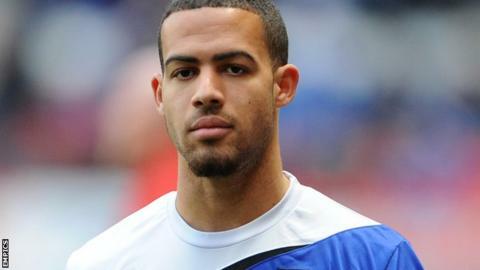 He has also had loan spells with Ipswich Town and Bradford City. "He's a wide man who can play either side, he's something different to what we've got," chief executive Mark Ashton told BBC Radio Oxford. "We've got a lot of games and need to push on and make sure the squad's strong enough. "Places are up for grabs and it's got to be competitive." Oxford rued a missed penalty from midfielder Kemar Roofe during a goalless draw against Morecambe on Saturday, the third U's player to miss a spot-kick so far this season. Michael Appleton's sixth-placed side travel to York and Accrington in the next two games as they bid to keep up with the pace at the top of League Two.